STAMFORD, Connecticut -- Cancer has struck the WWE wrestling world. 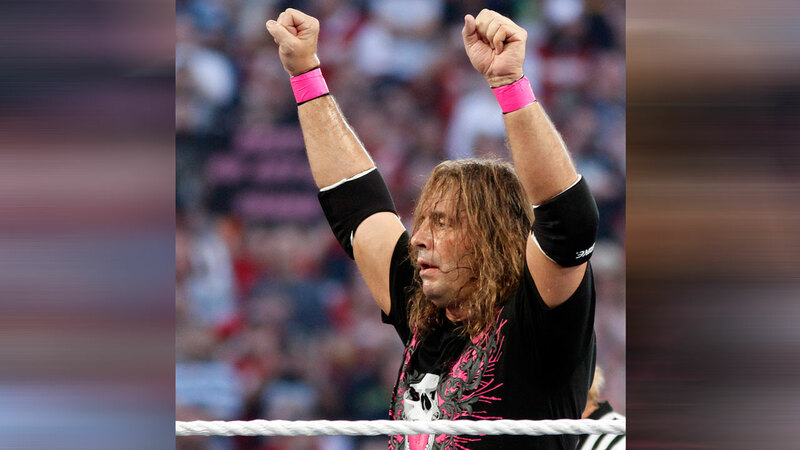 Bret "Hit Man" Hart revealed Monday he is battling prostate cancer on Facebook, but says he has beat the odds before. "I suffered my stroke in 2002, but it is now yet again, that I draw upon the many adults and young children I've met throughout my life who courageously fought and usually lost in their battles against this deadly disease," Hart writes. The wrestler thanked his wife, children and grandchildren for their support, and says he'll fight with every bit of strength he has left. "Love is my weapon and I've got much of it around me all the time, for which I'm truly blessed and eternally grateful," Hart says. Hart is a five-time WWE World Heavyweight Champion and was inducted into the WWE Hall of Fame in 2006.